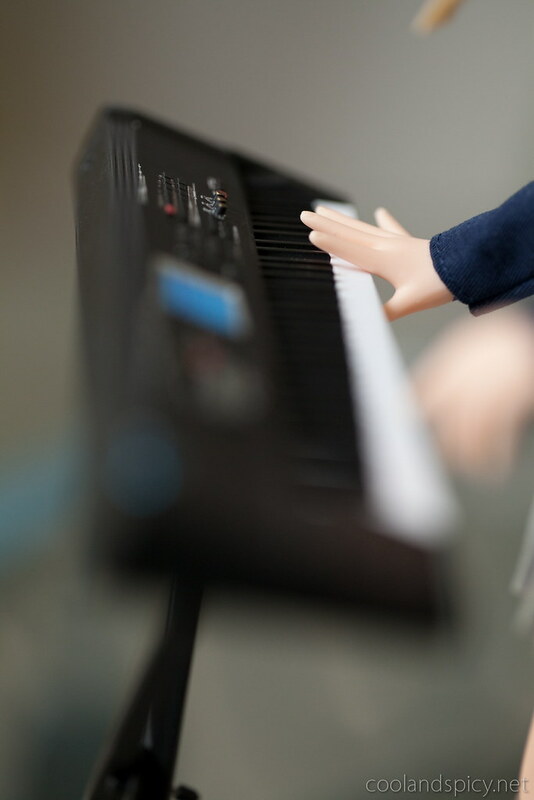 Continuing the trend of including the girls musical instruments (except for Ritsu), Mugi comes with her electronic keyboard which is supported by its own collapsible stand for easy storage. 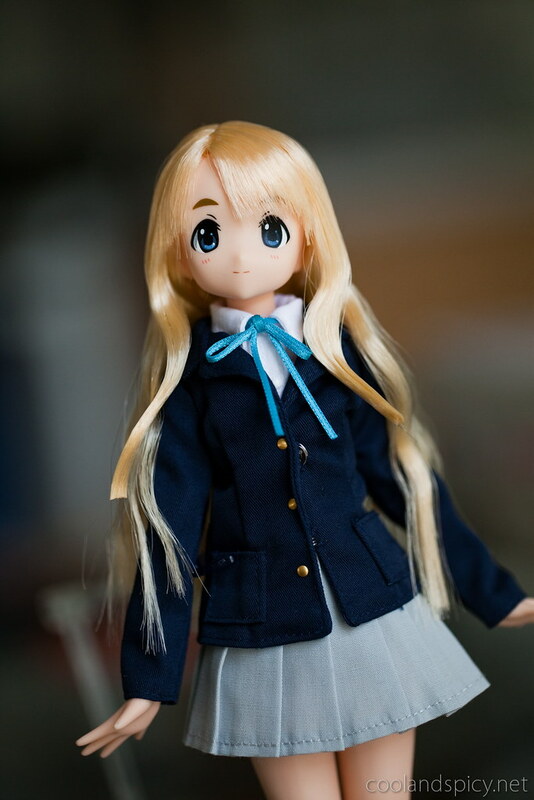 Mugi-chan does come with her summer vest (not pictured here) as it did with Yui and Mio. I decided to just leave her in her default school blazer. 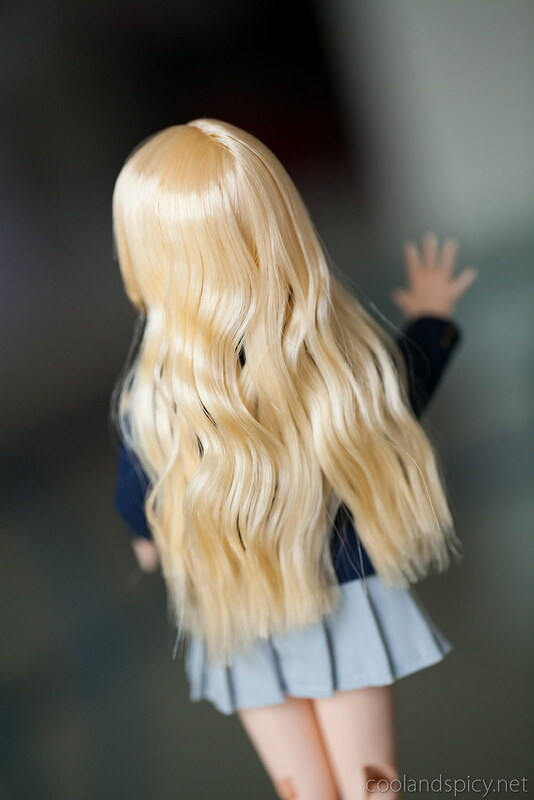 But what I want to know is when Azone is going to give us Mugi’s school live outfit? They’ve already created them for Yui, Mio, and Ritsu. I hope that Mugi’s outfit will also become available. 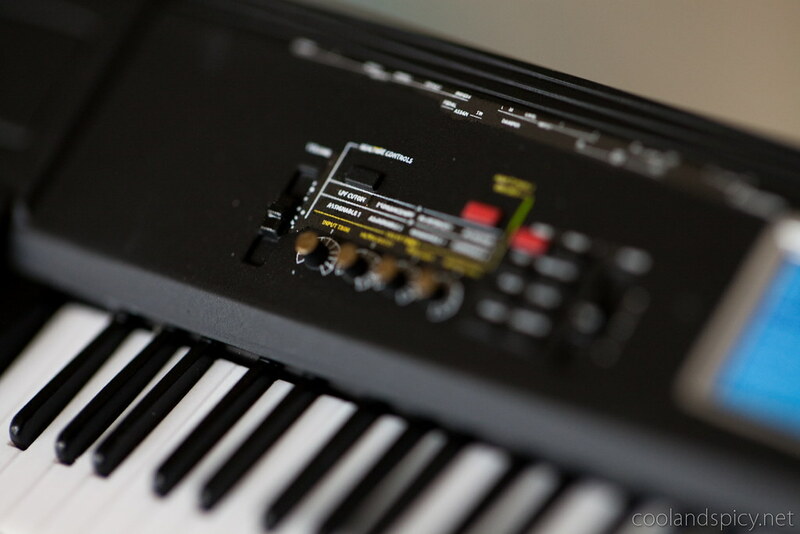 And now, a special treat! 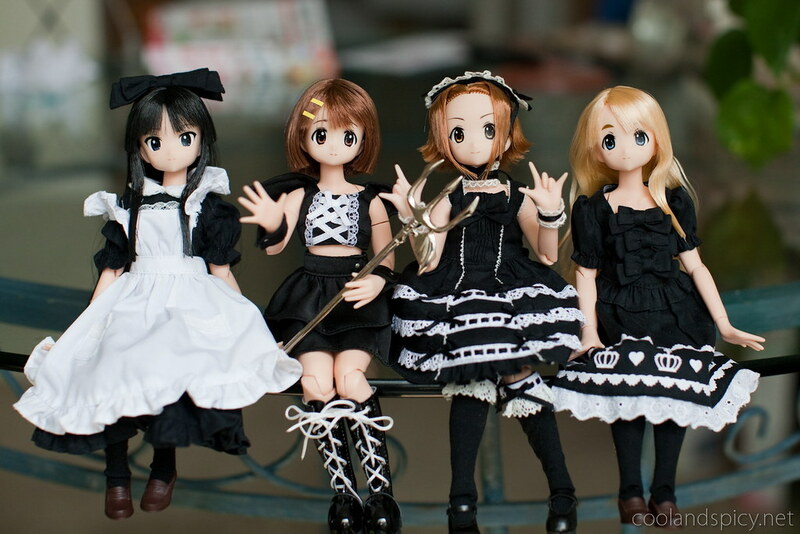 So far, I’ve collected 4 of the 5 keion girls and wanted to display them each in a special outfit. Here’s what I have so far! mmmm always nice to come by and gawk at your beautiful pics ^^ as you say azone did a great job converting her from anime to doll. ok WOW that picture of all the girls in their black/white outfits is adorable! The completionist in me gives you a big thumbs up. 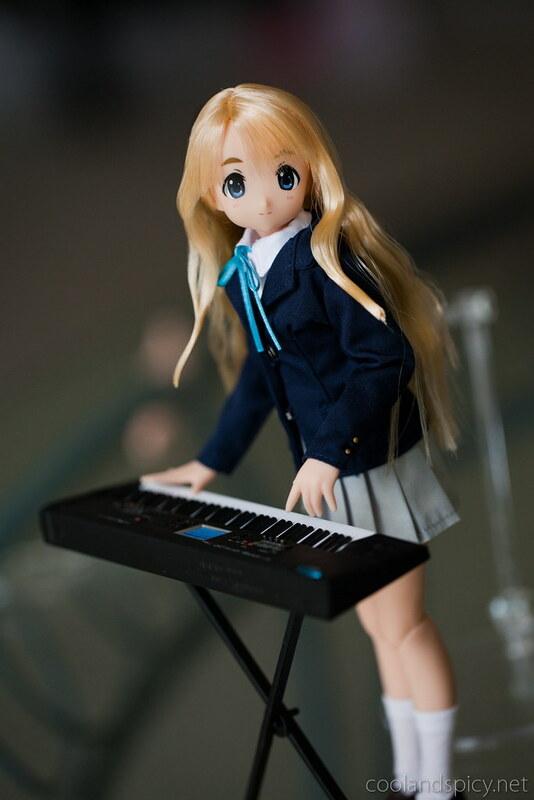 One thing I noticed about Mugi-chan in season 1 was that she never sang, that surprised me because I was pretty sure she had said that in the first episode she showed up that she was going to join the choir. Hehehm thanks. I collected those outfits over the past 6 months ^^. I think you’re right. 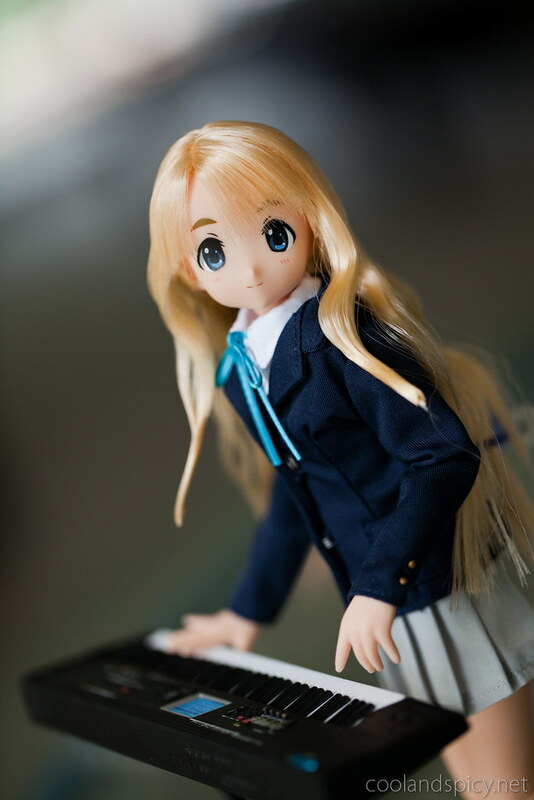 Mugi-chan did want to join the choir yet we never hear her sing. 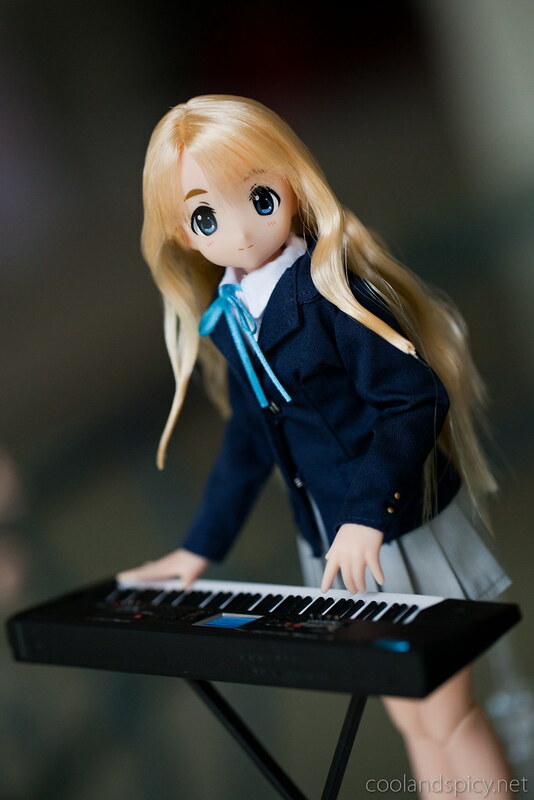 I would to hear a HTT song with Mugi on vocals! Also, I was wrong about Azu-nyan using a new body. Azone just announced that they’re revamping their 1/6 doll and clothing lineup based on a four-size system, and “Pureneemo S” is the new name for the old Pureneemo size. The other three sizes (all new body molds) will be Pureneemo XS, Pureneemo M, and Pureneemo L.
Sawa-chan doll? Was not aware of this! >_< Hmmmm, I'll have to wait and see on her. 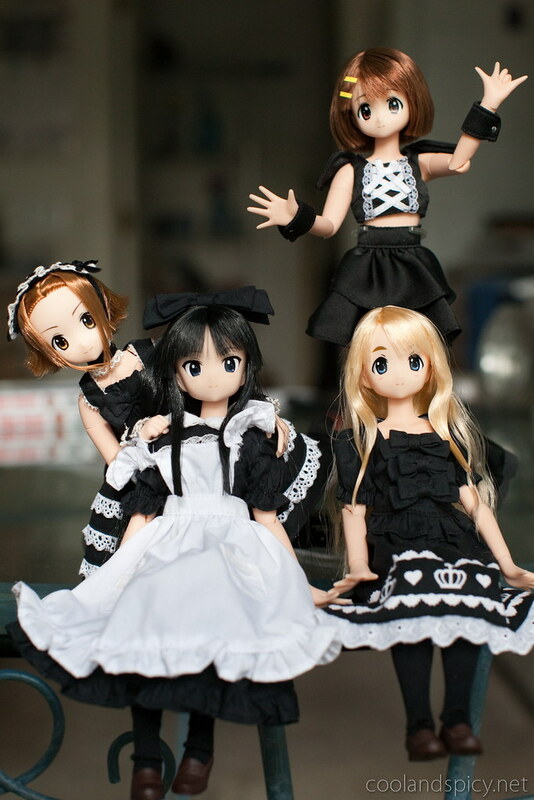 I liked the 5 K-ON member girls to buy them but not sure about Sawa-chan. wow shes so pretty!!!!! how much? I WANT HER!!!!! she’s super pretty!! and i don’t even watch K-ON! ← Cospa Hinagiku Katsura, Shima Knee Socks Ver.